Always look for a way to use whole wheat flour and Olive Oil ! The crust turned out with a great flavor but a bit hard ! Makes enough to line a 28- to 30-cm (11- to 12-inch) tart pan. Grease the pan lightly if it doesn’t have a nonstick coating. 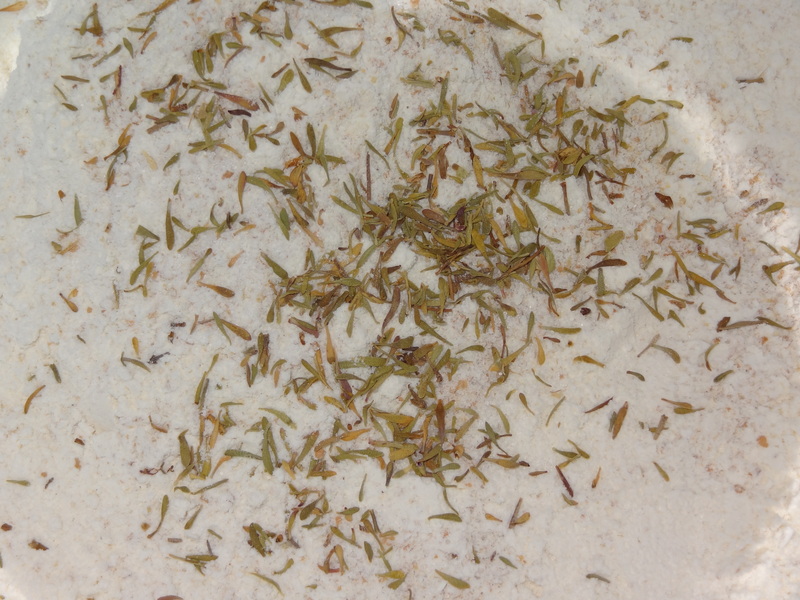 Combine the flour, salt, and herbs in a medium mixing bowl. Add the oil and mix it in with a fork. 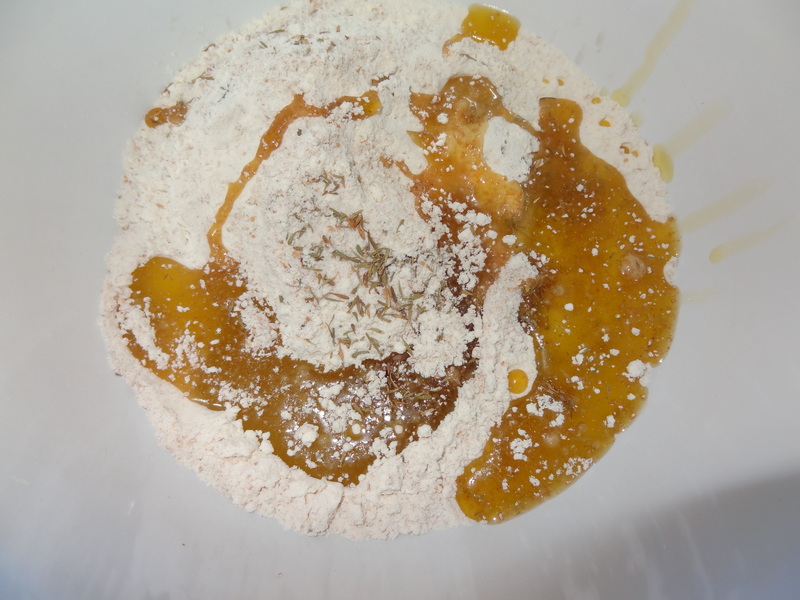 Add the water, mix with the fork until it is absorbed, then knead lightly until the dough comes together into a ball. 4. Turn the dough out on a lightly floured work surface. 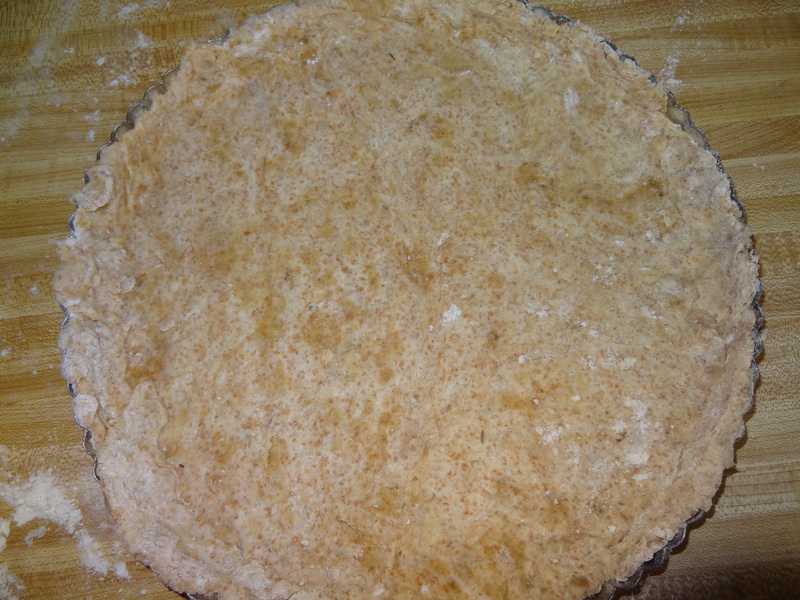 Sprinkle a little flour on the ball of dough and on the rolling pin, and roll the dough out into a circle large enough to fit your tart pan. Avoid overworking the dough. Transfer the dough carefully into the prepared pan and line it neatly. Trim the excess dough and place the pan in the fridge for 30 minutes to rest. You can then blind-bake the crust (prick with a fork first), or garnish it straight away, depending on the filling. Either way, it will take 20 to 25 minutes at 200°C (400°F) to bake thoroughly.